You can have the smile that you always wanted. Dr. Ellis has helped many patients achieve the smile that they have always wanted. One form of treatment to help with a smile makeover is a veneer. Dental veneers (sometimes called porcelain veneers or dental porcelain laminates) are thin, custom-made shells of tooth-colored materials designed to cover the front surface of teeth to improve your appearance. These shells are bonded to the front of the teeth changing their color, shape, size, or length. They match your existing teeth, feel real, and give you that perfect smile you have always wanted. This past summer, Dr. Ellis completed a smile makeover for her mother-in-law. The pictures below show the before and after images of her case. 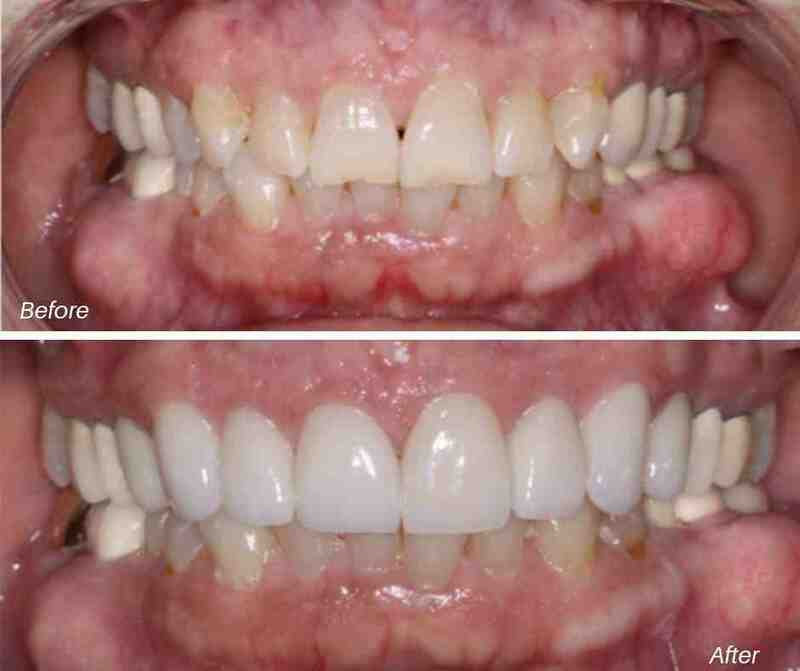 The results show an improved, beautiful smile that matches her existing teeth. Many patients think about cosmetic work but often put it on hold. There are many options available to patients that are interested in improving their smile. Contact us today or talk to Dr. Ellis next time you are in the office and she can help you understand your options.